There’s nothing I like more than a company that sells affordable, good quality products and does their part in helping people in need. So when Soapbox asked me if I wanted to help them reach a huge milestone for them, I just couldn’t say no, I’m always down for supporting a good cause! 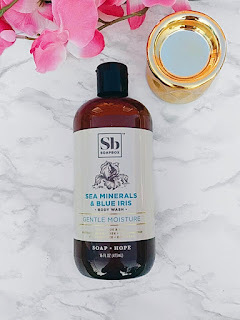 In case you don’t know, Soapbox is a company that sells personal care items such as; shampoo & conditioner, body wash, liquid hand soap, and bar soap. All of their products are made in the USA and are cruelty free, vegan, and made using only natural ingredients. 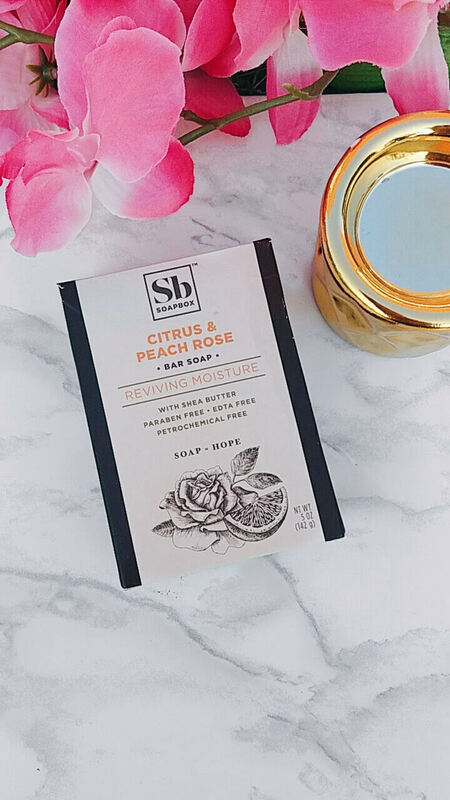 Soapbox is also a one-for-one company, meaning that for every product purchased, one bar of soap is donated to someone in need. There’s also a code on every product purchased that you can enter on their website so you can see where your donation is going and who it’s helping, which I think is a really cool feature. Soapbox reached out to me to help them reach their 3 millionth donation, (yes they’ve donated close to 3 million bars of soap), and I couldn’t say no. They even sent me some products to test out and review for you guys. PS: Stick around until the end of this post for a special surprise! Let me start off by saying every single product that Soapbox sent me smells so amazing, I literally couldn’t stop opening them up and smelling them! This shampoo and conditioner, featuring bamboo extract, smells very fresh and clean. 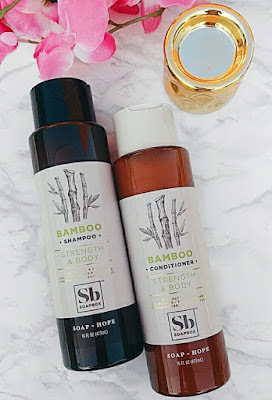 Bamboo extract is great for strengthening your hair and keeping it moisturized. I’ve only been using it for a few days but I can already feel the difference in my hair, my hair feels so much softer and smoother. This is officially going to be my new go-to body wash, I just love the way it makes my skin feel. It has aloe and shea to keep your skin feeling hydrated and sea minerals to keep your skin feeling fresh and clean. It’s thick and it smells amazing and it does an awesome job at hydrating and moisturizing my skin! Like all of the other products I’ve tried from Soapbox, this liquid hand soap smells so good. 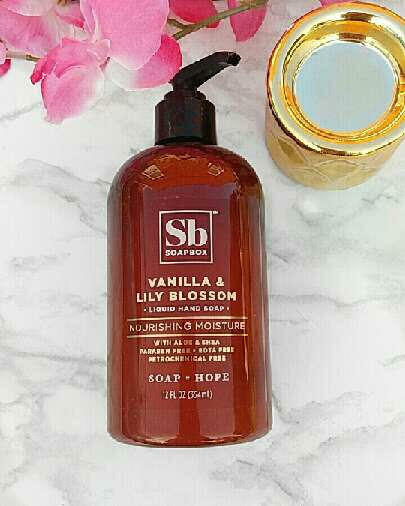 It’s vanilla and lily blossom scented and it contains shea butter and aloe to keep your hands moisturized as well as clean. I also love the packaging, it looks so pretty sitting on my bathroom counter. I’m not a big bar soap person because I hate that filmy feeling bar soaps usually leave on your body. This soap is different though, no gross filmy feeling with this one. Instead your skin is left feeling soft and moisturized. It also has a lovely citrus scent, with a hint of peach rose, that stays on your skin throughout the day. 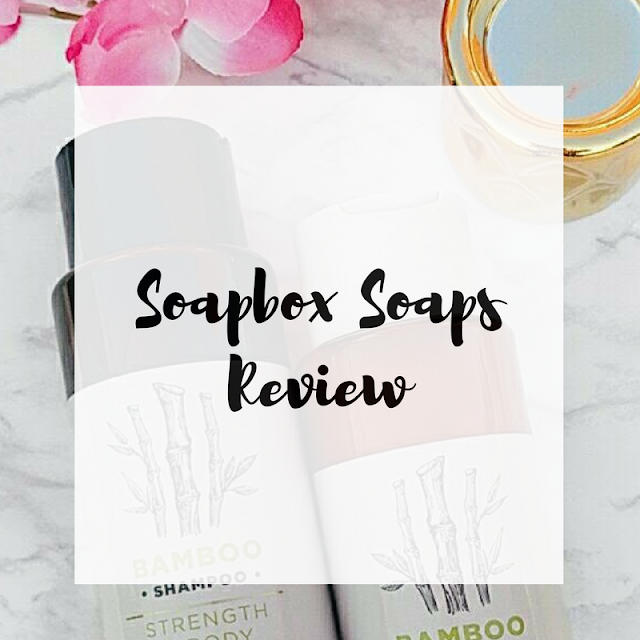 Overall, I’m very happy with all of these products I had the chance to test out from Soapbox. It’s not often that you find a great product that’s not only affordable, but that also allows you to give back to someone in need every time you purchase it. I’m so glad I had the opportunity to review these products because I’ve now been introduced to a full line of products that I love and a brand that helps others. Soapbox was also kind enough to give me a discount code for all of you! Just go to soapboxsoaps.com and enter the code aboutagirlSbS3M to get 10% off your purchase. Not only that, but if you use my code, Soapbox will double your donation, donating 2 bar soaps for every product purchased! This code will expire on October 13th, 2017. Thanks again Soapbox! Here’s to 3 million donations!